I read so many books about demon hunters and dystopian worlds these days that I’ve completely forgotten about the type of book I first loved to read: Contemporary Romance. 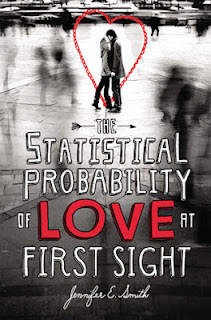 This book reminded me just how much I love to read a good love story that doesn’t fail to put a goofy grin on your face. First off – I love the title! It was the title that drew me to the book in the first place. It’s just awesome. I flew through this book in a day. I seriously couldn't put it down. 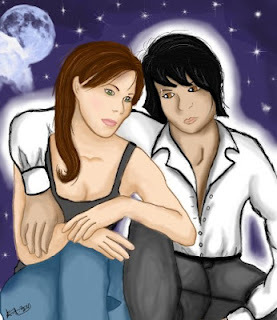 Hadley and Oliver’s story is set over a short time period: 24 hours. But within that time we learn so much about the two characters live and after a few chapters I was in love with them both! The plot is simply adorable and pulls you in from the start. I loved the humour between Hadley and Oliver but I was kept hooked as to what was really going on in Oliver’s life at that point. The ending put a huge smile on my face and I know this is a story I won’t forget for long time. It made me want to miss a flight in hope of finding my very own Oliver! 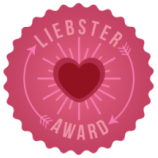 If you’re looking for a funny, romantic read then this is definitely for you! I'm pleased to present to you an Interview with Heather Topham Wood on her First Visions Blog Tour along with a review. 1. Hi Heather! Where did you get the inspiration for First Visions? It was actually based off an old story I wrote as a teenager. Most of my stories were crap and had melodramatic plotlines like teen pregnancy scares or were cheesy horror stories about virgin blood drinking vampires. However, the one particular story involved a psychic who helped find a missing child and I just expanded from there. I had actually forgotten completely about the story and when I started re-reading my old writings, it really struck me how great it would be to turn it into a series. I haven’t read too many books about psychics and I thought it would be fun area to explore. 2. Kate is a fabulous character! Did you relate to her at all when writing First Visions? I tried to make Kate as real as possible. Yes, she definitely has her flaws and I hope readers see she does grow a lot over the course of the novel. We’ll continue to see her grow and mature in the next book as well. But I’m a pretty sarcastic person, so you’ll definitely hear my voice come through at times. 3. What made you choose to write for the older YA audience? When I was in college, I had such a hard time finding books for my age group. I either had to read books about characters younger than me in high school or books about characters with “real life” problems like careers, marriage and children. I think when you’re 21, you are in this phase where you’re not a child anymore, but you may be still very reliant on your parents. I hope there will be more books that focus on this age group because it’s such an interesting time in a person’s life. 4. There’s some great humour in First Visions. Do you think it’s important to keep a certain level of humour in a story? I love books that can be suspenseful and still make you laugh to alleviate some of the tension. I try to think about the books that I like when writing and most of my favorites have parts that have me belly laughing. I try to inject some much needed humor when things are getting too heavy. 5. 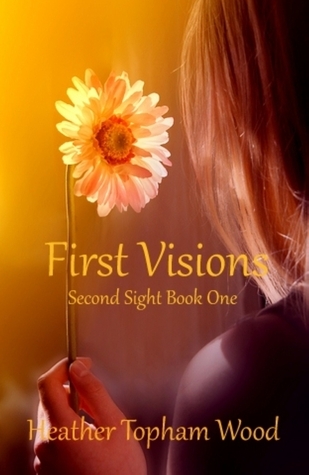 First Visions is the first book in the series, how is book two coming along? It’s going really great! I have an outline and a good chunk of the first draft done. In this book, we continue Jared and Kate’s story, but will also be introduced to another psychic. 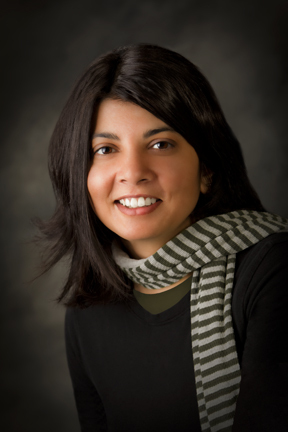 Kate has always wanted more control over her visions and this new psychic offers to help her. There will also be another missing persons case she’ll become involved in. 6. What are some of your favourite YA novels? I have a ton, but I’ll try to narrow it down: Hunger Games trilogy, Delirium series by Lauren Oliver, The Goddess Test series by Aimee Carter, Under the Never Sky by Veronica Rossi and Fever by Lauren DeStefano. 7. In your opinion, what is the most rewarding part of being an author. You’re sharing these crazy little stories that occurred in your imagination with complete strangers and hoping to touch them in some way. I love to hear people’s opinions on my work and how they react to certain elements of the story. Plus, you get to work in your pajamas-that’s a big plus as well. Thanks for the awesome interview Heather! 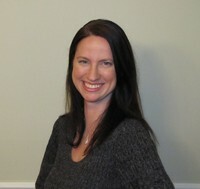 USA Today, Livestrong.com, Outlook by the Bay and Step in Style magazine, she writes fiction novels in her spare time. She resides in Trenton, New Jersey with her husband and two sons. I adored everything about this book and I can’t wait to see what Heather has planned for Kate and Jared in the next instalment! 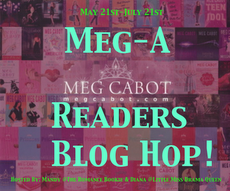 I'm proud to be part of the fabulous Meg-A Readers Blog Hop hosted by The Romance Bookie and Little Miss Drama Queen. My post is about how The Mediator Series completely changed my opinion of reading! Enjoy! I hated reading. No, really, I did. The worst day of the week at school for me was the day that we had a library session. I actually detested having to pick out a book to read for the week. So how exactly did I end up a complete bookworm within a few years? The answer: The Mediator Series. Back in 2008 the only book series I’d ever actually enjoyed reading was Harry Potter. And believe me, even that was a shock for me to have actually read them in the first place. I could just never get into books. It was by a complete accident that I ended up with a copy of the first Mediator book. I actually won it in a school raffle but because books didn’t interest me, it was just left untouched in my room. I completely fell in love with Suze and Jesse. Before I knew it I had ordered the rest of the series from Amazon and was at the end of book 6, crying like a baby. I just loved every aspect of the story and every character was fabulous! After I finished the series I then went on to read all of Meg’s other teen books. It was her books that made me passionate about reading – and now I’m a full time bookworm! The Mediator is, to this day, STILL the best series I have ever had the pleasure of reading. And trust me, since The Mediator, I have read a lot of book series. Not only did The Mediator inspire me to read, it also inspired me to draw. I decided one day to draw a fan art of Jesse and Suze because they were just that awesome and since then have continued drawing fan art. I'm not the only one who Meg has inspired to read with The Mediator Series. My younger sister was constantly asking me how I could read so much, she found it boring. So, I of course gave her my copy of The Mediator and needless to say she is now a huge Meg fan. Win! It’s safe to say that The Mediator changed my whole opinion on books. Without Meg’s awesome writing, I would never have fallen in love with reading and I would never have started to draw fan art. 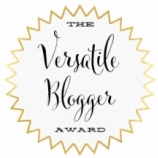 This blog wouldn’t even exist! For that, I will be forever grateful! 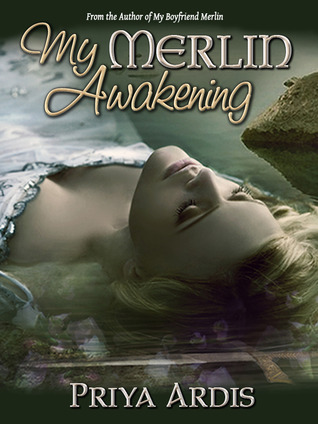 Blog Tour: My Merlin Awakening Guest Post, Review and Giveaway! Tour brought to you by: Bewitching Book Tours Full Tour Schedule HERE. 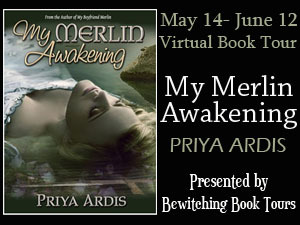 I'm extremely excited to be a part of the My Merlin Awakening Blog Tour! 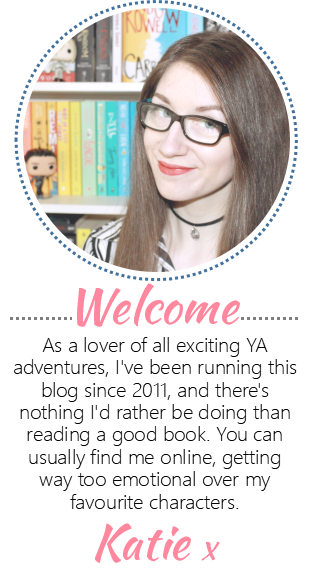 The My Merlin Series by Priya Ardis is such a fantastic series and i'm proud to present a guest post from the lady herself! I am a writer who listens to music while writing and so naturally making a soundtrack for My Merlin Awakening was one of the first things I did. But what does a soundtrack actually signify in the book? To me, it’s the ebb and flow of emotions the characters experience as they deal with what happens. More importantly it is the ebb and flow of emotions in their love story. Arriane (aka Ryan) is our nice girl protagonist. Ryan’s song - Alice by Avril Lavigne – Why? This beautiful moody piece perfectly fits Ryan’s struggle. Matt (aka Merlin) is our superhero in a cape. Matt’s song - Superman (It’s Not Easy) by Five for Fighting –Why? In My Boyfriend Merlin, Merlin’s alter-ego is Matt. This is a huge struggle in the book for Merlin…does he want to be the “Most Powerful Wizard in the World” or does he want to be plain-old Matt? Lastly, there is Vane, hero’s brother and generally, a pain in Ryan’s backside. Vane’s song - Vindicated by Dashboard Confessional – Why? Vane just knows he’s right. All. The. Time. Theme music: Down by Jason Walker – If a song embodied the whole book, it would be this one. (You wouldn’t believe how many times I listened to this one.) I won’t tell you which character’s song this is… you’ll have to read the book to figure it out! My Merlin Awakening in a word? AWESOME. Book 2 picks up a little while after the end of book 1. Ryan is back at school after Matt AKA Merlin took the rap for pulling the sword. But Ryan soon realises that she can’t hide away from things forever and once again ends up on an epic journey. The series develops so much in this book! I loved the Greek Mythology element that is added into the mix in this book. It adds to the overall epicness of the whole story. This book has a bit of everything, including the totally swoon-worthy love triangle. Vane and Matt are simply amazing characters! I also love Ryan’s strength. We see how her character has grown from the first book. I adore Priya’s writing style. I love the humour that is kept throughout the story, it adds some fun to the serious plots. This series just keeps on getting better and I can wait to find out what is in store in the final book! If you haven’t started this series yet then you really, REALLY need to! Enter the rafflecopter to win! One winner will get a $25 Amazon or B&N gift card and a copy of My Merlin Awakening. 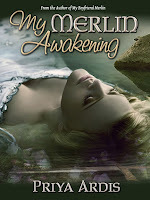 Two additional winners will also get a copy of My Merlin Awakening.